On the eve of the 100th anniversary of ANZAC Day, this week’s post is taken from the NOSSA Journal April 2015 Vol. 39 No. 3. The article is by Lorraine Badger. William Hugh Murdoch, known as Bill, was born at Poowong in Victoria’s Gippsland*. 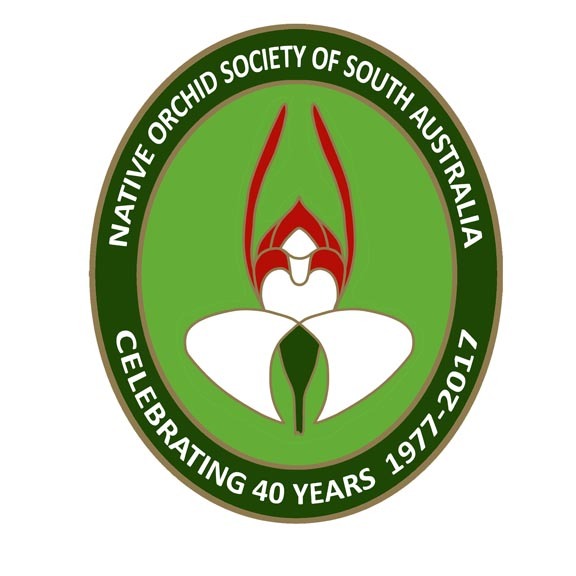 Later in life he became an orchid grower, eventually becoming co-founder of the Australian Native Orchid Society (ANOS), after sending out letters in 1962, suggesting the formation of a Society, to fellow Native Orchid Growers. However, it is not for that reason alone, that we remember him in this journal. This month is the hundred year anniversary of the first battle of our new country, at Gallipoli. Following several weeks training in Egypt, William landed at ANZAC Cove with the 17th battalion on 16 August**, just four months after the initial landing. The battalion was mainly responsible for the defence of Quinn’s Post***. Conditions on the Dardanelles peninsular ‘defy description.’ Water was scarce. Food rations were limited to mainly bully beef and hard tack biscuits. ‘The terrain and close fighting did not allow for the dead to be buried. Flies and other vermin flourished in the heat, which caused epidemic sickness’****. Under these conditions William, amongst dozens of men, contracted Enteric Fever, better known as Typhoid Fever, just three months after his arrival. He was sent by hospital ship, SS Nevasa (sic), to Alexandria back in Egypt before being sent to the Australian hospital in Helios on the outskirts of Cairo and then the Enteric Convalescent Camp in Port Said. On 21 January 1916 he was declared fit to travel and was repatriated to Australia for three months of rehabilitation, leaving Pt Said on the Suez, via the MAT Commonwealth. Almost nine months later he returned to join his battalion, first disembarking in England. Four days before Christmas Day in 1916, he left the UK to join his battalion which had returned to Etaples, France following a spell in a quieter sector of the front in Belgium following the battalion’s first major battle at Pozières between 25 July and 5 August. In their new location they manned the front through a very bleak winter and William was again needed hospitalisation on several occasions for frostbite, diarrhoea, being wounded in action and finally Trench Fever a few weeks prior to armistice in 1918. He embarked for Australia in March 1916 reaching Australia in May where he was discharged. Again when WWII commenced William re-joined the Army and was involved in training and later as ‘Voyage Only Officer’. Bill is also remembered by ANOS through the Australia wide, Bill Murdoch Trophy for Champion Australian Native Orchid Species of the Year. 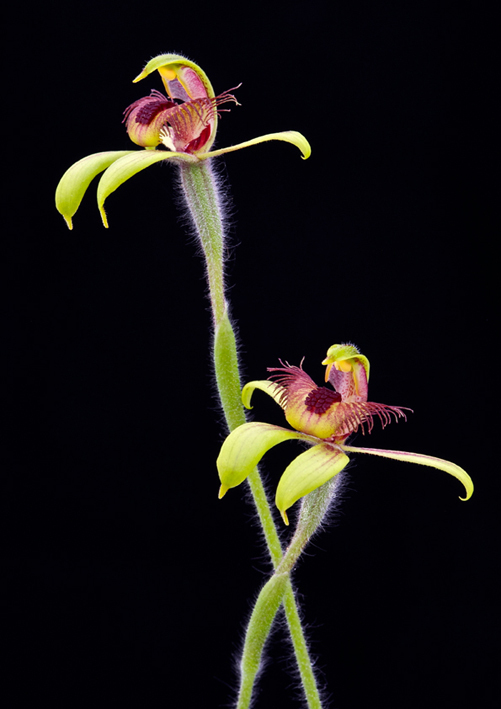 It is not often that a South Australian wins this prestigious award but Kris Kopicki has become the latest recipient for his winning entry, Caladenia discoidea, in the NOSSA 2014 Spring Show. Caladenia discoidea (Bee Orchid or Dancing Orchid). This picture was taken of the 2014 winning plant in 2013. Congratulations Kris for growing a winner! *Birthdate gleaned from: http://www.irabutlertrophy.org/WRMurdoch.htm However, on his enlistment papers of 2 February 1915 it states that he was aged 19 years and 4 months – which would suggest he was born about October 1895. 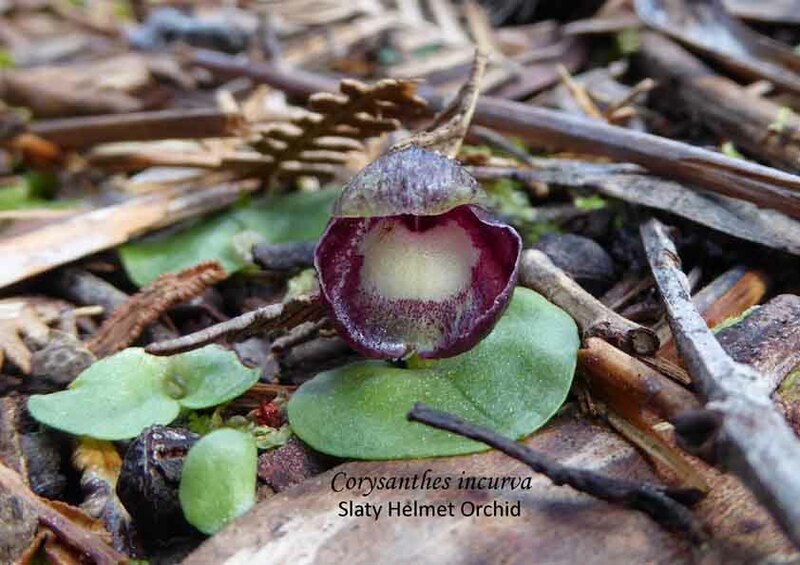 This entry was posted in Biographical, History, Orchid Snippets and tagged ANOS, ANZAC, Australian Native Orchid Society, Bee Orchid, Bill Murdoch, Caladenia discoidea, Dancing Orchid, Gallipoli, Growing Terrrestrial Orchids, Native Orchids, orchid history, William Murdoch, World War One. Bookmark the permalink.